The Salmonberry Elementary program is a holistic school for children 6-12 years old. The program uses an integrated thematic approach to provide meaningful learning experiences to the two classrooms’ multi-age learners. The Salmonberry Elementary program is a holistic school for children 6-12 years old. The program uses an integrated thematic approach to provide meaningful learning experiences to the two classrooms’ multi-age learners. Students are offered a strong academic program, which is designed to meet the unique needs and learning styles of each child. The student/teacher ratio is low, and the learning community is intimate and nurturing. Attention to children’s social and emotional growth and development are important pieces of Salmonberry’s elementary program. Teachers maintain very high expectations for students in all areas. Students are challenged to do their best. This is reflected in behavioral expectations, social awareness, and working for academic excellence. Salmonberry elementary uses a thematic approach to shape its studies. Each unit of study integrates many disciplines; including language arts, mathematical investigations, science, social studies and the arts. Thematic units often focus on what would traditionally be considered a content area of science or social studies: a period in human history, a country or region of the world, a natural, physical or earth science. Often the topic of study is drawn from students’ expressed interest. 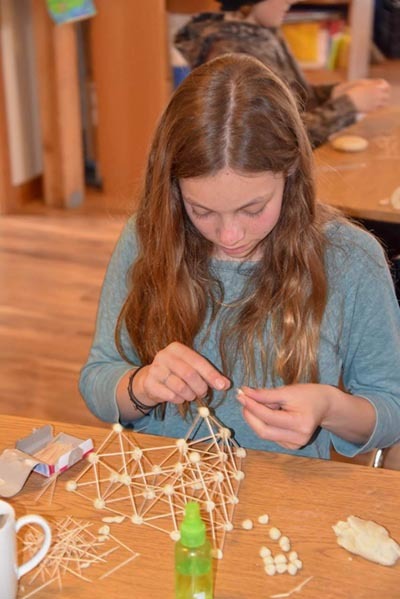 Teachers select a theme and then design cross-curricular sequences of explorations and activities that immerse the students in a rich examination of this living subject. A thematic study of American Pioneer History might include lessons on knitting, sewing, woodworking, cooking, and farming in addition to more traditional presentations of content facts. The students learn to live and breathe the subject of their studies. This direct first-person encounter ensures that the subject comes alive and is experienced as relevant and meaningful. 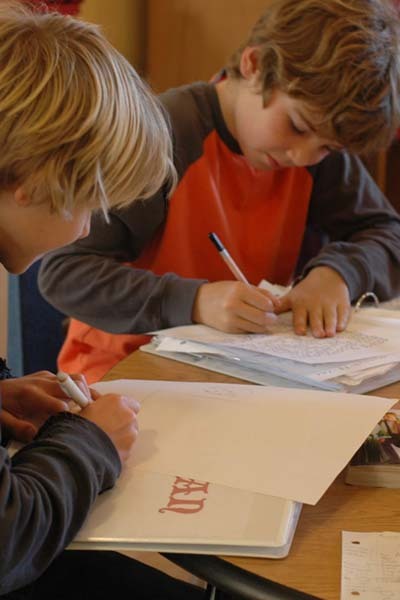 Through their study of language and literature, Salmonberry elementary students develop a joy for reading and for stories as well as an appreciation and understanding of the richness of the writer’s craft. Literacy is a gateway to understanding self, other and the world around us. Therefore, becoming excellent readers and writers is one important aspect of a Salmonberry elementary education. Students work daily in small groups with students of a similar reading level. Within these groups they are introduced to literacy skills at the primary level and engage in in-depth novel studies in the intermediate grades. Often reading books are selected because of relevance to the theme, as well as for their quality as literature. Students are challenged to read at a high level, and analyze and discuss texts using many aspects of critical thinking. Writing is taught within these same Language Arts groupings. Students write responses to the books they are reading. These responses range from simple “book projects” at the primary level, to sophisticated multi-page critical essays and original stories in the intermediate grades. Students are introduced to the “six analytic traits of writing.” They learn all aspects of the drafting process, from pre-writing through revision and editing skills. Writing is also taught in the context of meaningful and authentic purpose. Math is another language through which we make sense of the world around us. It is much more than a set of facts and processes to memorize. Salmonberry students learn to view Math as an integral part of our daily lives and not an isolated and disconnected discipline. All our students become proficient mathematical thinkers and problem solvers. Students work in small groups according to their developmental level as they learn and practice discrete skills and gain knowledge embedded within real-life encounters. Math studies are integrated into thematic units whenever possible. We emphasize a constructivist approach in math and present content in all mathematical strands emphasizing a visual approach. Students also learn standard algorithms and become accurate and proficient within all strands of math. We use a first through fifth grade curriculum called Bridges published by the Math Learning Center. We also supplement the curriculum with additional skills practice particularly in the area of computation, and with additional problem solving challenges to develop students’ ability to communicate their thinking mathematically. Science is most successfully taught through hands-on activities. We often use purchased curriculum that emphasizes experiential learning. We have had fun and success with these materials in many fields of science from Astronomy to Ocean Studies, Human Anatomy to Chemistry. At other times we use an inquiry-based approach to science that often grows out of direct experiences in the natural world. These springboard encounters might include walks through the forest, low tide explorations, or working in the school garden. Students’ natural curiosities and questions blended with guided reflection and study promote a scientific way of thinking and being in the world. Often our science studies become the center of larger integrated thematic studies that include art, literature and math. Our social studies curriculum differentiates the Salmonberry elementary experience from a more mainstream curriculum perhaps most dramatically. Through social studies, students learn about themselves and their place in the world culturally and historically. Social studies provides a lens to look at our own classroom and school community and our roles and responsibilities within it. It also leads us to appreciate difference and diversity, human rights and issues of social justice. Social studies units often focus on historical periods or geo-cultural studies. Teachers use “simulations” to provide a real experience and close encounter with the subject of study. In these simulations, students most often work in collaborative groups where they assume fictitious identities. They then have to make use of available resources and analyze information to solve problems and make decisions that lead to their group’s success. We have found this to be an extremely engaging and fun way to learn about distant human cultures. Also during social studies, we make every effort to connect students to their subject through visceral direct encounters. In this vain we will integrate food, art, music, dance and all types of craft into the study. A study of the European Middle Ages, for example, allowed students to select a craft guild to join. They then spent several hours each week learning traditional woodworking, cooking, calligraphy, book-binding or embroidery. This kind of experiential learning makes the content unforgettable. 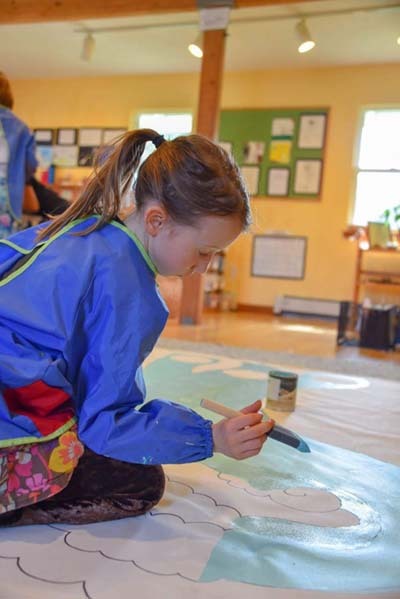 Arts are considered an integral part of Salmonberry’s elementary program and not an add-on or enrichment. In one sense, arts are integrated into nearly everything we do. Writing is an art form. A math solution can be written with an aesthetic sense. Quality art materials are accessible to students all the time and their use is encouraged and facilitated. Dance, movement and theater are also integrated into the curriculum. In addition, specific forms of art, both fine art and music are taught by dedicated specialists, who are trained experts in their fields. Music instruction includes singing and sharing songs as well as music appreciation. 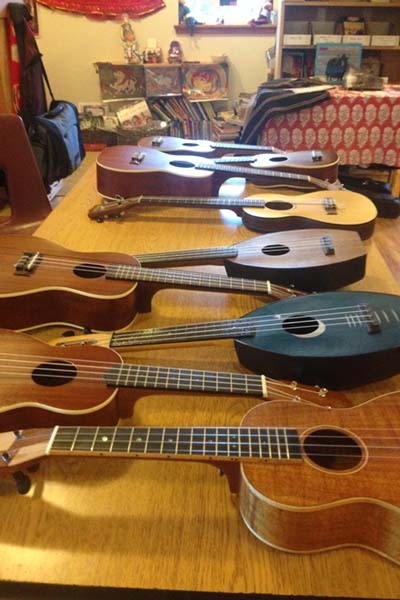 Students in the intermediate grades receive weekly instruction in ukelele, and ukelele-based music theory. Art lessons include techniques of drawing as well as a vast range of media, frommulti-media collage to pastels. Salmonberry students consider themselves to be artists and bring that artistic sensibility to everything they do. Salmonberry introduces Spanish language instruction in first grade. Teachers use a “Total Physical Response” approach that includes a great deal of movement. Emphasis is placed on conversation, but students are also taught many vocabulary sets, as well as verb conjugation in the older grades. Spanish instruction includes game playing, art projects, and an array of project-based learning. Students enjoy long recesses in our large play yard. They climb trees, play elaborate games of both fantasy and sport. 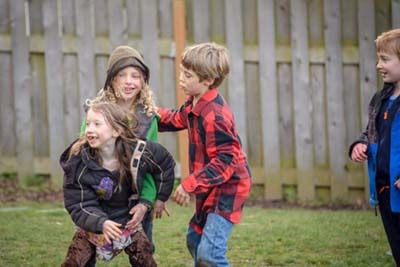 Teachers introduce a vocabulary of cooperative games and spend time teaching lessons on group cooperation and decision-making, which facilitates this collaborative, multi-age and cross-gender play. At various times, teachers introduce 8-12 week-long units on specific games, skills or equipment. Recently we have enjoyed units on Frisbee, jump rope, yoga and contemporary dance. 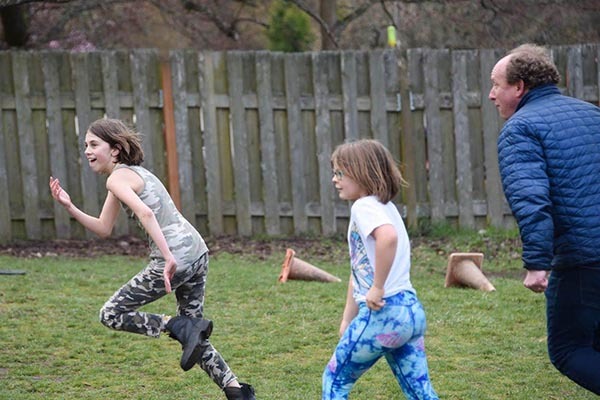 Students enjoy challenging their bodies and gross-motor skills as well as integrating various strategies and a cognitive approach to the physical release of these kinds of activities. At times we also introduce students to a range of mindfulness practices that put them in touch with their physical bodies and more interior selves. This includes meditation, breathing, guided visualization and relaxation exercises. Regularly, we make an effort to walk to the beach and hike through the forest as part of an approach that integrates mind, body, place and spirit. We recognize that meaningful learning can and does happen outside of the classroom. Whenever possible, we bring our students out into the larger world. These experiences range from a walk on the beach to a week-long trip to Oregon or New Mexico for older students. Once again it is partly through these kinds of experiential learning encounters that students find a sense of adventure and the fire of learning is kindled. Salmonberry’s elementary program provides an outstanding holistic education. Students realize their potential as active and engaged learners. 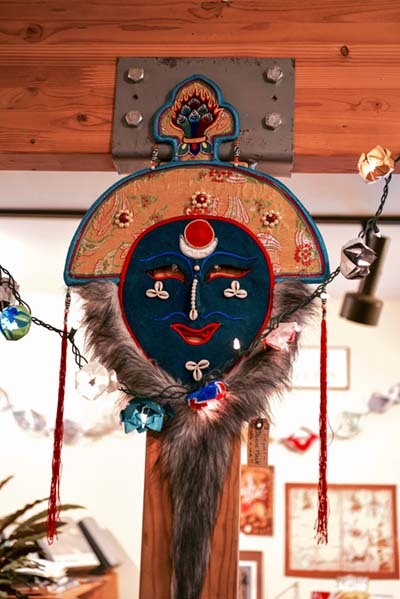 They are aware of themselves as unique individual beings and are also extremely effective community members, sensitive to the needs of the world around them. They embody values of compassion, empathy, justice and caring. They possess strong skills in all academic areas and are eager to use them. Salmonberry students see their learning as meaningful and relevant. They are fully prepared and excited to continue on a lifelong learning adventure. 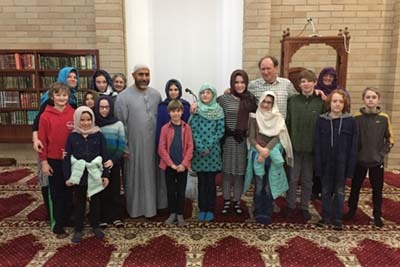 They understand that the journey of education is about entering a dialogue with the world and making the most of their capacities for insight, imagination, creativity and critical thinking to make this world a better place.